Sussman Shank LLP | Dallas G. Thomsen, LL.M. 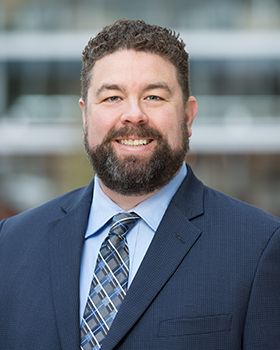 Dallas is a business attorney and focuses his practice on business law, taxation (including partnership and corporate tax), estate planning, intellectual property, food and beverage, and trademarks. With a masters in taxation, Dallas provides clients with in-depth tax analysis, evaluation and planning, particularly in the areas of complex partnerships and advanced estate planning. His practice also includes representing clients in the food and beverage industry with regulatory compliance and labeling requirements. Dallas is admitted to practice law in Oregon and Washington. Estate Planning Basics - (2007, 2008): National Business Institute, Inc.
Dallas's interests include skiing, rafting, camping, and golf. He's also an avid college sports fan.